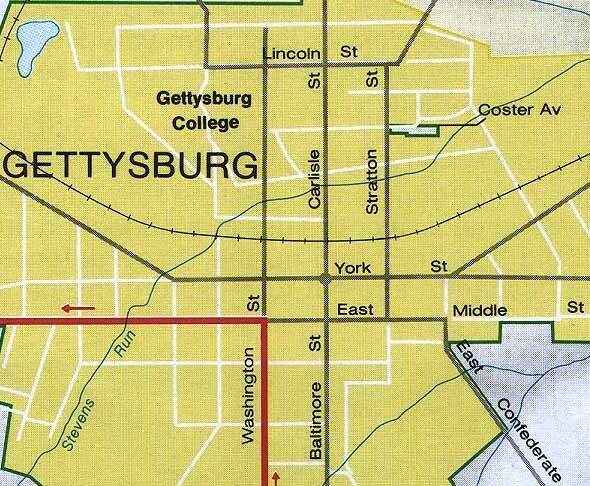 At the end of a small side street called Coster Avenue lies the smallest, and least visited portion of Gettysburg National Military Park. It is tucked away amongst houses and a business and looks like someone's backyard. However, this small, grassy oasis contains the largest mural in the park dedicated to a small group of 11th Corps regiments who tried to hold their own against an overwhelmingly, larger adversary. The mural depicts the 154th and two other regiments, the 134th NY and the 27th PA, in line behind a fence, with Early's entire division bearing down upon them. I found this place on my second visit to Gettysburg. My first visit was a day trip from Rochester, NY and unfortunately, I did not have the time to find where the 154th NY had fought. My second trip was a longer trip and allowed me to locate this sacred place. I was in the Visitor Center bookstore and stumbled upon a small booklet that described this portion of the battlefield and the mural. The most important feature was a map! I bought the booklet and immediately followed it to Coster Avenue and what had been my goal for many, many years. 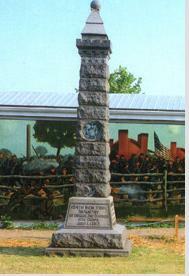 The 154th NY monument my grandfather had told me about. I initially passed the small street, but doubled back. I got out of my car and and stood in disbelief that I had finally found it. I could just imagine the 154th NY being there and got chills. This is where it all happened. They had been here. This is the spot where my great-great grandfather and uncle had fought. And where great-great grandfather Marshall Shannon had been captured. Now, every time my travels take me near Gettysburg, I stop to place a flag at the base of the monument and reflect on what happened here. If you visit this place and see a flag there .... that might just have been me.